PageTraffic would like to take this opportunity to wish you and your family Happy Holidays and all the best for the New Year. It was Christmas and the New Year is knocking on the door. At PageTraffic the preparations for the celebrations were in full swing and all of us were getting ready for the party and the festivities. 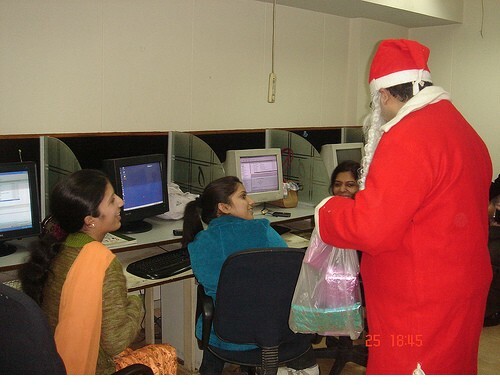 We’d just like to share with you that Santa dropped by PageTraffic yesterday. It was quite dramatic when in the evening as we were celebrating all the lights went out and Santa’s visit was indicated by some rocking Christmas music. 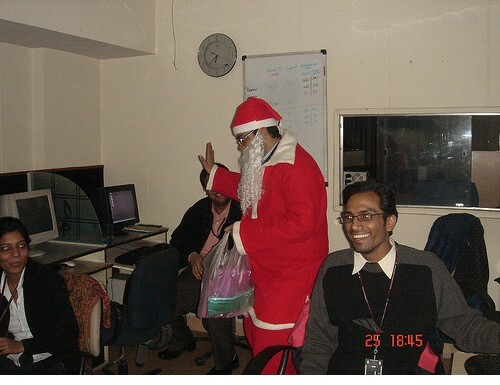 The lights then came on as Santa visited each department. 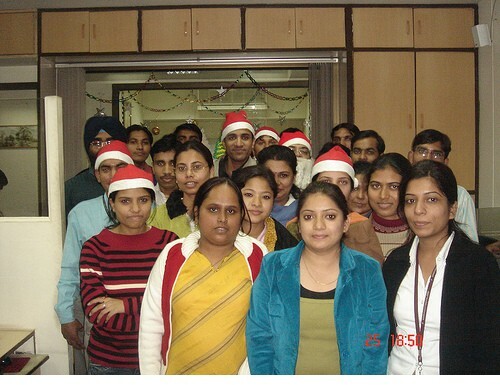 The PageTraffic SEO department was the first where Santa landed first. We have a big SEO Department at PageTraffic and Santa’s Jingle Bells lasted a little longer in here. Before Santa left we asked him to pose with all those present at PT. Here Santa with PageTraffic fellas. We also look forward to a new year filled with lots of action in the “PageTraffic” Industry. As we’d be closed for a couple of days to spend time with our family and friends and join in the festivities, there would be fewer posts on our blog. PageTraffic wishes all its readers a Merry Christmas and a Very Happy New Year! Have great holidays!